This week at Robicheaux Recreation Center there is a week long swim camp for those with disabilities. It may just seem like a chance to get their feet wet before the summer, but this program is doing much more. Learning how to swim and other recreational activities doesn’t come easy for everyone especially if you have a disability. 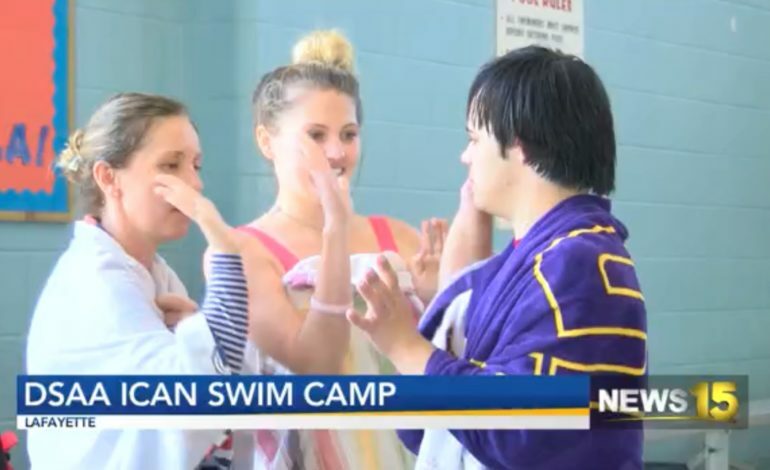 Monday through Friday iCan Shine, Lafayette Parks and Recreation and Down Syndrome Association of Acadiana is offering swim classes for people diagnosed with any disability. On Friday each swimmer will get an award for completing the camp. Tuesday April 16, is the last day to get into a session. To register call 337-234-3109 or click here.